The 9th Circuit upheld the dismissal of a complaint by participants in the Walt Disney Co. 401(k) plan that Disney violated their fiduciary duty by offering the Sequoia Fund, a mutual fund that had plummeted in value. A three-judge panel of the 9th U.S. 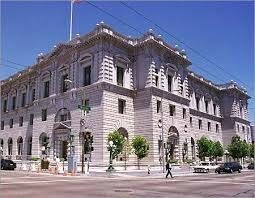 Circuit Court of Appeals upheld a 2016 decision by the U.S. District Court in Los Angeles that dismissed the complaint against the plan’s investment committee and various plan fiduciaries. “As a general matter, allegations based solely on publicly available information that a stock is excessively risky in light of its price do not state a claim for breach of the ERISA duty of prudence,” the appeals court wrote in its opinion. The plaintiffs argued that the Disney plan fiduciaries had failed to “prudently monitor and review” the offering of Sequoia Fund as an investment option. The problem I see now is that Federal courts are getting tired of these cases and plaintiffs need to show that the use of a particular fund actually breached the plan sponsor’s fiduciary duty, rather than just the investment option plummeted in price. As long as the plan sponsor can show that the use of an investment option is consistent with their investment policy statement and their long term goals, I don’t think Courts will want to second guess what fiduciaries should be doing. Everything when it comes to fiduciary duty is about a rational process and following it. ERISA litigators are going to have to show a little more work to show that investment decisions actually breached a fiduciary’s duty.